Symantec seems to have become the latest battleground in the war for global cloud market share being waged between Amazon Web Services (AWS) and Microsoft’s Azure platform. On 22 November, AWS revealed it had inked a deal with Symantec that sees it become the strategic infrastructure provider for the “vast majority” of the security software vendor’s cloud workloads. The agreement, which came just over a month after Microsoft revealed it had sealed its own cloud deal with Symantec -- offering up its Azure platform for delivery of the Norton consumer products -- sees Symantec leverage AWS's infrastructure to deliver cloud security to its global customers. At the same time, the AWS deal is expected to support Symantec’s ongoing transformation of legacy applications into cloud-based solutions, along with its creation of cloud-native and hybrid offerings. AWS’ parent company, Amazon, said its relationship with Symantec is long-term and bi-directional, with the security vendor not only making a major operational move to AWS, but also tapping into the global footprint of the AWS Marketplace to deliver its security services. According to Amazon, Symantec built a data lake on AWS that collects tens of terabytes of data every day from 175 million endpoints and more than 57 million attack sensors. "Our cloud-first approach to engineering requires a highly scalable and reliable infrastructure that helps our team deliver faster time-to-market and ensure that security remains our top priority," Symantec cloud platform engineering vice president, Raj Patel, said. "Symantec is committed to protecting the cloud generation through our leading security products, as well as leveraging the cloud to deliver our services. “AWS's experience serving some of the most risk-sensitive enterprise customers was an important part of the decision to choose AWS as we execute on our enterprise integrated cyber defense strategy,” he said. 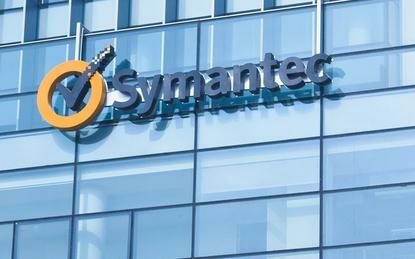 It was only in October that Microsoft revealed its own deal with Symantec, which saw the security vendor tap into its Azure platform to deliver Norton consumer products to more than 50 million customers worldwide. The deal, which was ostensibly triggered by a desire to pursue hybrid cloud strategies, involves a migration that is expected to take 18 months, from its start date last year through to March 2018. “Our focus is helping organisations, governments and people secure their most important data, wherever it lives,” Symantec senior vice president and CIO, Sheila Jordan, said at the time. “Microsoft has been a strong partner and has helped us to painlessly execute our strategy, far exceeding its commitment to ensure our success,” she said.